Staying at a hall of residence usually means living together with other students in the vicinity of the university, in conditions that are mostly better than in comparable private housing. The condition, facilities and furnishing of the halls of residence is varied and will satisfy even high demands – especially the newer buildings. Publicly-aided students’ residences and facilities, in particular, offer opportunities for studying and recreational activities at remarkable value for money. The broad range includes medieval half-timbered houses in the old town centre, traditional halls of residence where you’re guaranteed to get to know people really quickly and modern housing facilities. We offer small and medium-sized single rooms, single apartments (with kitchenette and shower/lavatory), double apartments (for married couples, couples and so on), family apartments and group apartments for sharing. The size of the residences ranges from buildings offering accommodation for 30 people to a “student village” with room for 650 persons. Studentenwerk runs halls of residence in 5 cities. All housing units have essential furniture (table, chair, bed and mattress, cupboard, lighting) and often have additional practical furnishings. All of them have a few things in common: good value for money, great opportunities to socialise and a large variety of leisure facilities. Most of the halls of residence are quite near their respective universities. There are various types of student accommodation: halls of residence ranging from traditional to ultra-modern. Studentenwerk’ broad range of offers can satisfy most needs. You can always withdraw into your single room in a traditional hall of residence if you need some time on your own; breakfast, cooking, laughing, studying, partying and discussions, however, all take place in the comfortable eat-in kitchen or one of the many recreation rooms. In addition to the numerous opportunities for communal activities (tutoring programme, television room, sports, culture, hobbies…) on offer, socialising plays an important role as well. It’s not just the old hands who swear by this type of accommodation, it is remarkably suitable for first-year students who want to feel at home as soon as possible. Aficionados cherish the traditional students’ residences “Alexandrinum” in Erlangen and “Weinstadel mit Wasserturm”, a medieval half-timbered building in Nürnberg. We are able to offer a large number of single apartments in modern apartment buildings, in which each of the practically furnished rooms has their own kitchenette as well as a small bathroom with a shower and a toilet. There are many opportunities to socialise as well, just the way it’s supposed to be at a proper students’ residence. Double apartments for couples or friends are on offer, too. Another interesting type of accommodation is apartment sharing, or “WG” (“Wohngemeinschaft” in German). We offer this type of lodging primarily at our newer residences, where we succeeded in combining the advantages of traditional living at a students’ residence with modern architecture. Our offers include smaller and bigger apartments for families - with or without children, married or not. Of course, the many advantages of living in a hall of residence apply here as well. Some halls of residence in Erlangen and Nürnberg furthermore have daycare facilities for children aged 1 to 3. Our residences feature many services and useful facilities, such as washing machines, communal TV sets, sports and fitness equipment and rooms for reading, studying and discussion. Some buildings are equipped with eco-friendly installations such as rainwater utilisation, photovoltaic cells or solar thermal systems (creation of hot water). If you’d like to find out more about environmental protection at our halls of residence, you can read on here. All accommodation units are ready for broadband internet access. Connection to the internetis by dedicated line, radio link or DSL. The administration of the local data networks is performed autonomously by the respective residential community (at cost price). Many of the buildings have balconies and terraces for individual or communal use. In many of the small and large buildings, especially the traditional halls of residence with their common kitchens, people generally enjoy communal activities. There are plenty of available rooms for parties. When moving in, you’ll essentially only need to bring bedding (blanket and pillow), bed linen, towels, cleaning supplies and crockery in addition to your belongings. As long as you have space, you can always add something to the basic furnishings, according to your taste. If necessary and desired, you can often take over (shower) curtains from the previous tenant. Basic cleaning of the corridors, staircases and floorings is arranged for. Occupants are obliged to clean their rooms, communal kitchens and apartments themselves, however. The bicycle is almost everywhere considered a popular and proven means of transportation within city limits. You can bring your own or acquire an affordable new or used one when you’re here. All halls of residence run by Studentenwerk have canopied bicycle parking areas. In many cases, disabled students can also find accommodation suitable for their needs. Please inquire at the respective WohnService (Housing Service) team concerning this matter. Ideally you should drop by at one of our halls of residence yourself. You’ll certainly find a student who can show you around. Assure yourself of the quality of our halls of residence – go into one of your choice and talk to the residents. If after taking this little tour, you have come to the opinion that living at a students’ residence is for you, you should apply as soon as possible. In many cases, it is possible to move in during the semester without a waiting period, whereas the beginning of every semester entails waiting times and admission restrictions. 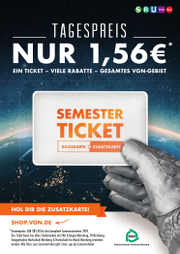 As a rule, only students who are enrolled at a university served by Studentenwerk are admitted to our halls of residence. Only in exceptional cases is notice of admission to a regular course of studies sufficient. Please refer to the conditions for application and download the appropriate application form. Please fill in the form carefully, making sure that it is clearly legible and complete. Send it together with a current photograph (max. size 7 x 5 cm) to Studentenwerk. Please note that illegible or incomplete applications cannot be processed. Applications may be made when the requirements for admission to the university have been met; earlier applications are pointless. The effective date for further processing of your application is the date on which it is received by Studentenwerk. Please understand that, as a rule, applicants are not sent notification of receipt of their application, its processing status or of their chances of being admitted. Applicants (third parties with authorisation only) are, of course, entitled to make enquiries, e.g., about the processing status of their application. We recommend that enquiries be made several weeks after posting the application and then according to the recommendation of the person processing the application, as the case may be. Please refrain, however, from needless repeat enquiries; this will not speed up processing in any way. If you do not receive an offer for accommodation within 12 months, please let us know whether you are still interested – otherwise your application will no longer be processed after 12 months have elapsed (there will be no separate notification to this effect). We recommend that you send a short, informal written message, which can be by e-mail or fax, possibly including modified preferences or any updated details. Selection of applicants takes place – provided that all the application requirements have been met – according to the date of receipt of the application The decisive factors are social criteria, the distance from the current place of residence to the university, as well as established allocation policies and experience. Applications from physically handicapped applicants will be processed preferentially. The proportion of foreign students in the halls of residence is generally greater than the proportion of foreign students at the universities – some of these foreigners, especially those on study programmes, can be admitted through special quotas from the universities (see "Housing quota for foreign students in special university admissions programmes (SOK)"). As a general rule, contracts run until the end of a semester although early termination of the contract is generally possible under certain conditions. Commencement and expiration of the agreement is always to the beginning and end of the calendar month. Applications for early termination of tenancy agreements (notice of termination – only in German!) can be downloaded in the forms section. Due to the high demand and limited supply, generally several restrictions for admission apply for September, October and November (beginning of the winter semester), see tips for first-year students. Special conditions for admission and renting (see “university housing quota for foreign (SOK)”) apply for those foreign students who come here to study for a period of up to 12 months and are re referred to Studentenwerk from a list at the university. 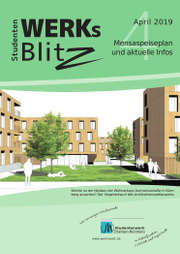 You can obtain further information regarding conditions for admission and renting, waiting periods at specific halls of residence and more at Studentenwerk’ WohnService (Housing Service). Ideally you should simply pay us a visit. You can download application forms and recent rental fee tables (to be found at the respective hall of residence) here. In order to ensure affordable rental fees, our WohnService team relies heavily on electronic data processing and appreciates any assistance on your part. As far as possible, all halls of residence belonging to Studentenwerk have tutoring programmes. The tutors’ work is meant to encourage and support the students’ own initiative. We generally offer educational, social, sporting and musical activities. Another important aspect of their work is the integration and support of foreign students. The director of a hall of residence is a tutor who coordinates the residents’ activities, arbitrates in disputes and assists Studentenwerk on location to a certain extent. We advise all new residents to participate in one of the introductory events regularly organised by the tutors: you’ll get valuable tips concerning everyday life at the hall of residence. Feel free to directly approach the director of your students’ residence!